If you are looking for information on the The Goddard School franchise business opportunity, The Goddard School franchises or The Goddard School franchising, then you have come to the right place. Recently named #1 Childcare Franchise in the United States, by Entrepreneur magazine, for the seventh consecutive year (January 2008) and one of the Top 200 Franchise Systems (in worldwide sales), by Franchise Times, (October 2007); Goddard Systems, Inc. (GSI) is expanding The Goddard School® network throughout the United States. Headquartered in King of Prussia, Pennsylvania, GSI currently licenses 280+ franchised schools in 37 states. President and CEO, Philip Schumacher, has committed GSI to providing a level of quality that surpasses anything currently available in the industry. To that end, he has reinforced the already formidable corporate Quality Assurance requirements for Goddard franchisees. Goddard Schools receive unannounced visits from GSI Quality Assurance representatives several times a year. The Goddard QA evaluation meticulously examines all aspects of health and safety as well as providing a detailed assessment of curriculum and programming. This absolute commitment to quality is strongly supported by franchisees as affirmed by an impressive 30% who have already purchased second franchises. Goddard franchisees share a common entrepreneurial spirit and a commitment to providing the highest quality childcare in their communities, as evidenced by each School's on-site management. With a successful system in place and dedicated franchisees, GSI has achieved its initial goal as the acknowledged leader in franchised childcare. The company now has its sights on the next level - recognition as the premier childcare provider in the United States. Kyle D. Pruett, M.D., an international authority on child development who has been practicing child and family psychiatry for over twenty-five years and is a clinical professor of child psychiatry at Yale University's Child Study Center, is a member of the GSI advisory team. Dr. Pruett consults on curriculum and programming as well as providing guidance and resource information that is distributed to franchisees and parents. Dr. Pruett is the author of the award-winning Goddard Parenting Guide, Me, Myself and I, as well as the host of the Goddard Parenting Guides in DVD format which are available to Goddard families through their school and the nationwide Parenting With Pruett discussion series. 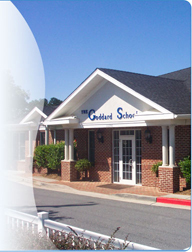 GSI has developed Goddard Systems University (GSU). GSU is funded by the corporation and provides ongoing Director and teacher development. Classes are conducted on a regional basis every quarter. GSU training has been approved as an Authorized Provider by the International Association for Continuing Education and Training (IACET). Directors and teachers who participate in GSU receive continuing education credit that is usually a state requirement. In addition, this module allows for productive sharing of ideas and information. Each School's Education Director and faculty are selected through interviews by the franchisee in consultation with the GSI Operations Department. All Goddard Directors are required to attend a formal one-week training at GSI corporate headquarters. The training includes topics such as: Goddard Quality Assurance standards, curriculum and program, health and safety, teacher development and training, hiring procedures, community relations, and payroll control. Goddard School buildings are custom designed and planned to provide a safe, healthy, and stimulating environment for children from six weeks to six-years-old. Two separate playgrounds are designed to challenge and delight each age group. Is a fully licensed childcare facility. Has highly qualified staff trained in Early Childhood Education or Child Development. Provides children with carefully planned educational programs that meet the social, emotional, cognitive, and physical needs of each child. Maintains a small group atmosphere to provide individual attention. Offers open and honest communication with parents in an atmosphere of mutual trust and respect. Most childcare centers are run solely by an Education Director who has to perform all the necessary business tasks, as well as overseeing the education program and staff. 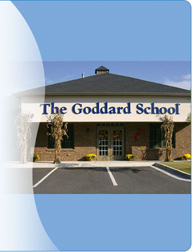 At The Goddard School®, the Owner is on-site to manage the day-to-day business, which allows each School's Education Director to focus on curriculum and programming. This dual management system gives the Director freedom to observe classrooms, mentor staff and develop a healthy learning environment for children, while the Owner is afforded the flexibility necessary to operate an efficient business. Although hours of operation may vary by location, most Goddard Schools are open Monday through Friday, from 7 a.m. to 6 p.m. A schedule of this type allows franchisees to operate their business and enjoy their families and friends. Goddard franchisees share a varied background, but very few are educators. All franchisees complete a comprehensive training program that includes: operational practices, customer service, licensing, marketing, staff hiring and training, and Goddard Quality Assurance. Goddard Owners also spend time with a Goddard mentor during this period. All Goddard Owners are also invited to attend a four-day annual conference each spring and an Owner's symposium each fall. These meetings enhance the initial training with updates, current research, and an opportunity to share information with fellow School Owners. Goddard has developed a premier program to monitor compliance with the standards of Goddard Quality Assurance (QA). Goddard QA Representatives make unannounced semi-annual visits to each School to assess compliance with a full range of Health and Safety policies and procedures, as well as Curriculum and Program performance. Although most states have a licensing agency that oversees state requirements, Goddard Schools are additionally obligated to fulfill the Goddard QA Review. The Goddard QA Review and its exceptionally stringent controls are setting the standard for quality in the childcare industry. 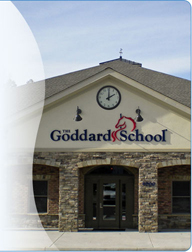 Goddard Schools are designed with the well being of the children and staff in mind. The building size provides a manageable environment in addition to two large playgrounds intended to accommodate each age group separately. GSU is funded by the corporation and provides ongoing Director and teacher development. Classes are conducted on a regional basis every quarter. GSU training has been approved as an Authorized Provider by the International Association for Continuing Education and Training (IACET). Directors and teachers who participate in GSU receive continuing education credit that is usually a state requirement.